The young and exuberant Sara Ali Khan was snapped at the airport on Saturday evening, and she flashed a beautiful smile for the cameras. Jacqueline Fernandez looked ravishing when she was spotted at a photo shoot. Varun Dhawan hit the gym on Saturday afternoon, and he was snapped post that. Shilpa Shetty went out for lunch with her sister Shamita Shetty and her mummy dearest Sunanda Shetty, and the trio were snapped by the paparazzi. Check out the pictures of these celebs! Sara Ali Khan made heads turn at the airport on Saturday evening when she was spotted. She flashed a beautiful smile for the cameras when the paps snapped her. Sara looked very pretty in a printed yellow maxi dress over which she wore a pale yellow kaftan. Her hair was up in a pony tail and she wore a no make up look. Sara made her big Bollywood debut with Kedarnath last year, and later starred opposite Ranveer Singh in the blockbuster film Simmba. Jacqueline Fernandez was at a photo shoot on Saturday afternoon when she was spotted by the paparazzi. Jacqueline looked ravishing in a deep red gown with her hair all done up. On the work front, Jacqueline will next be seen in the film Drive, which is a Hindi remake of an American film with the same name. Varun Dhawan hit the gym on Saturday afternoon and he was snapped by the paparazzi. Varun looked hot in his weekend gym look, sporting a camouflage zip up jacket with dark grey shorts and a pair of black sneakers. Varun has been filming for Remo D‘Souza's dance film Street Dancer 3, in which he will be seen opposite Shraddha Kapoor. 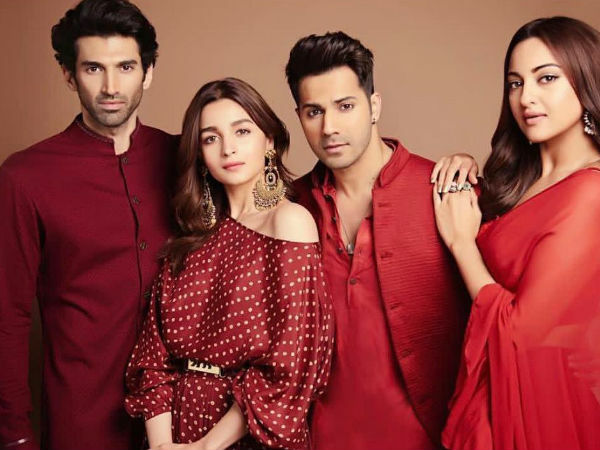 He is also geared up for the release of his next film, Kalank. Shilpa Shetty decided to have a lunch outing with her mother Sunanda Shetty and her sister Shamita Shetty on Saturday afternoon. The trio were snapped post lunch. Shilpa looked cool in a casual avatar, wearing ripped jeans with a white t-shirt. She carried a red handbag and sported a pair of red shoes to complete her outfit.